Are you confident with colorwork? The online Stitchionary from Vogue Knitting presents a great quick visual to a variety of colorwork techniques ranging from basic to complex. Manos del Uruguay yarns are eye-catching in their range of colorways, from bright and playful to subtle and tonal. Today we're sharing several new patterns and projects incorporating different techniques. Which one calls to you? Thea Colman's Mixed Berries Hat, in 3 Skeins or Less Fresh Knitted Accessories, is knit in Silk Blend. 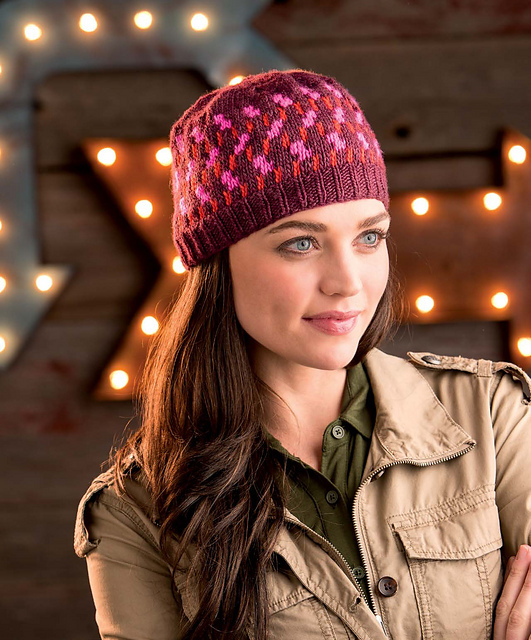 The Fair Isle design features an unusual motif paired with textural and color choices (3216 Oxblood, 3211 Cactus Flower, and 3203 Tomato) that make the hat stand out, but not in a distracting manner. 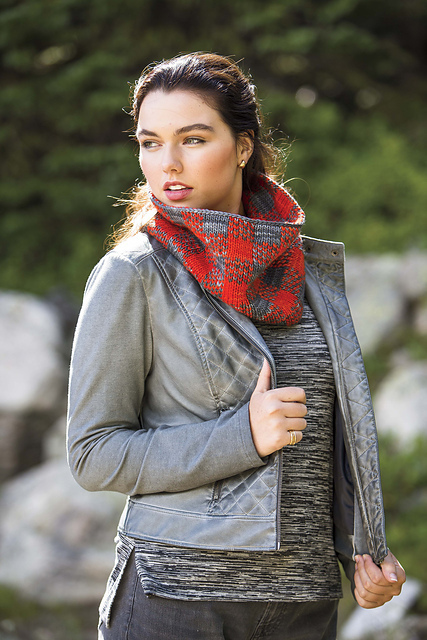 The Winter 2015 Interweave Knits includes the Trapper Cowl by Lisa R. Myers, knit in Maxima. Combining the two colorways (M2540 Kohl and M2110 Zinnia) in double-knitting creates a reversible, cozy cowl. 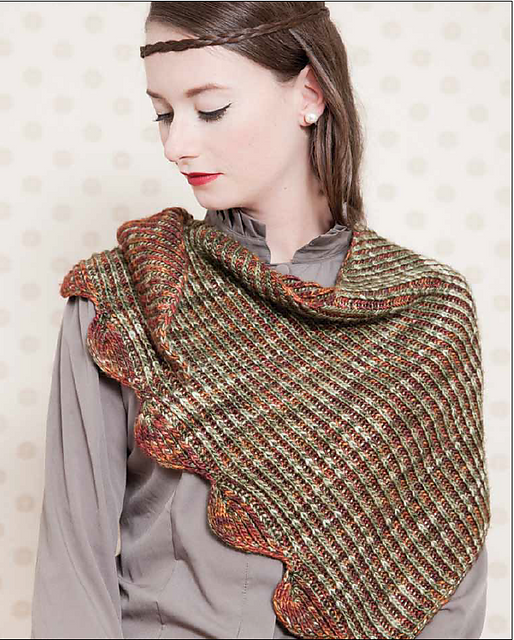 We are also looking forward to the publication of Knitting Fresh Brioche by Nancy Marchant. Brioche also creates a reversible fabric; the Stegosaurus shawl in Silk Blend (3109 Woodland with 3055 Olive) is a unique off-center shawl. A tip of advice here, brioche stitch uses up a lot of yarn, make sure you have enough before starting your project! There are even more colorwork projects available through FairmountFibers.com; the patterns shown above are free! The Schuyler Hat by Jennifer Burke is knit with two skeins of Silk Blend, shown above left in 3014 Natural and 3112 Moss. Erin Schrader's Ballston Legwarmers are shown in the center. Silk Blend, shown in 300M Bing Cherry, 300U Rust, 300X Topaz, 3014 Natural. Shown right is Lisa R. Myers' Fair Isle Tam, another project in in Silk Blend;it is great for colorwork! This project calls for 1 skein each of 3068 Citric, 300G Coffee, 300X Topaz, 300M Bing Cherry, and 300U Rust. These projects are all impressive and we hope we've inspired you to pick up a few of your favorite colorways and take it one stitch at a time! We'd love to see the colors you pick, the works in progress, and of course, the finished objects! You can tag us in a photo on Instagram or post it to our Facebook page and Ravelry group.